Lawsuit says 100,000 Audi vehicles have illegal software concealed in the engine controls. November 12, 2018 — An Audi CO2 emissions lawsuit alleges gasoline-powered cars were illegally marketed and sold to consumers for many years. 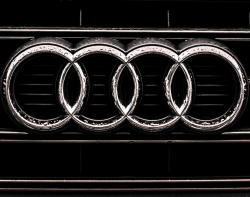 According to the CO2 lawsuit, Audi secretly concealed a software algorithm specifically to cheat on emissions tests conducted on more than 100,000 gasoline-powered vehicles. 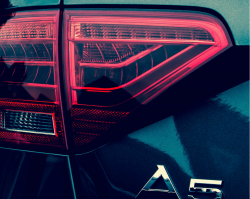 The lawsuit doesn't name which models are equipped with the allegedly illegal software, but some of the vehicles owned by the 67 named plaintiffs include the Audi A6, A7, A8 and Audi Q5 vehicles. The plaintiffs claim Audi has deliberately lied and cheated to deceive consumers and the government about the gasoline engines. 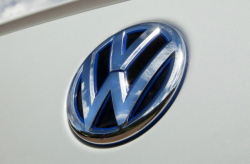 According to the lawsuit, the emissions defeat devices are in the engine control systems that monitor sensors in the transmissions, engines and exhaust systems. The allegedly illegal software detects when the gasoline-powered cars are undergoing emissions testing by turning off gear-shifting programs once the steering wheels are turned more than 15 degrees. This allegedly causes the engines to always run at low engines speeds that burn less fuel and emit decreased carbon dioxide emissions. But during normal highway driving when the steering wheel is turned more than 15 degrees, the vehicles emit more carbon monoxide, carbon dioxide and nitrogen oxides than advertised by Audi. 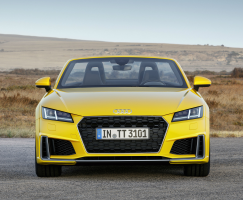 Furthermore, the plaintiffs claim the gasoline vehicles don't achieve the fuel economy advertised by Audi, and the engine control systems operate the transmissions and engines in ways that do not comply with government standards. Because the gasoline engines are allegedly illegal, the lawsuit says Audi "fraudulently obtained EPA Certificates of Conformity (“COCs”), as well as California Air Resources Board (“CARB”) Executive Orders (“EOs”), to sell and market more than a hundred thousand Fraudulent Vehicles solely in the name of profit and greed." According to the plaintiffs, they were fooled into buying gasoline-powered vehicles that were not close to what Audi advertised. At the core of the alleged fraud is the ability of the illegal software to engage different modes, "one of which used significantly less fuel and emitted significantly less pollutants, but also delivered significantly less power." The plaintiffs claim a “warm-up” function remains activated and the transmission remains in a “switching program” that produces low engine speed, consumes less fuel and produces less CO2. 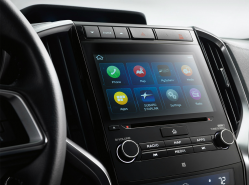 However, the lawsuit alleges this “warm-up” mode remains active only until the steering wheel is turned 15 degrees or more as the engine management computer switches the transmission into normal mode. 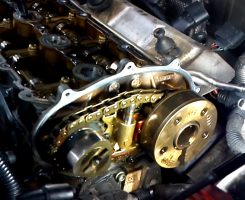 This will cause the transmission to shift normally with higher RPM and lower fuel economy, but at a significant increase in carbon dioxides and other dangerous emissions. According to the plaintiffs, Audi engineer Axel Eiser admitted the “shifting program” was to operate at 100 percent during emissions testing but be noticeable only .01 percent of the time during normal driving. As for fuel economy issues, the lawsuit alleges Audi's own study determined the vehicles used 8.5 percent more fuel once the wheel is turned during routine driving. In addition, attorneys for the plaintiffs claim previous lawsuits show the emissions defeat devices are hidden in the transmission control modules and work together with the engine control units to fool test procedures. Customers claim they were baited to buy the vehicles after reading the Monroney labels (window stickers) that describe multiple features of new vehicles. The lawsuit says based on the way the window sticker is calculated, the gasoline use increases and the fuel economy decreases as the amount of CO2 produced increases. "Therefore, if a vehicle produces less CO2 during laboratory testing, but higher CO2 when driven on road, the vehicle would have better estimated fuel economy represented on the Monroney sticker than the vehicle would actually achieve on the road." The plaintiffs allege this is exactly what happened to them because the illegal software tricked the Monroney testing into providing the false impression the Audi vehicles had better emissions and fuel economy than they really did. 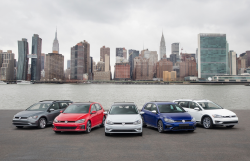 The Audi CO2 lawsuit was filed in the U.S. District Court for the Northern District of Texas - Christopher, et al., vs. Volkswagen Group of America, Inc., et al. The plaintiffs are represented by Heygood Orr & Pearson. CarComplaints.com has complaints about numerous Audi models.